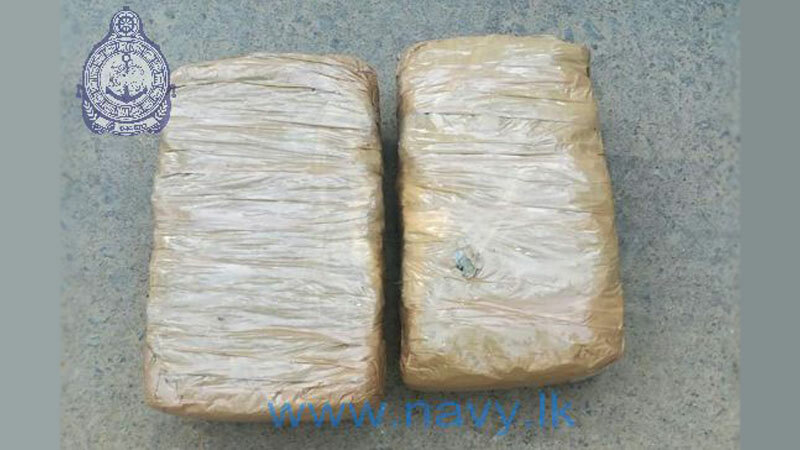 A group of Naval personnel attached to the Northwestern Naval Command in coordination with Police Narcotics Division-Puttalam, apprehended a person who was transferring 4.18 kg of KG. On a motor bike, during a raid carried out in Palliawasalapadu area in Puttalam yesterdsy. The suspect is a resident of Pallliawasalapadu , aged 21. Further investigation on the suspect, KG and motor bike are conducted by the Narcotics Division-Puttalam.